The iPhone 6S and 6S Plus sold over 13 million units in its first weekend in 2015, beating out the iPhone 6’s release record of 10 million units in 2014. The 6S and 6S Plus solved the problems consumers noticed about the new series of Apple products. “Bendgate” – the iPhone model bending in half from being kept in a pocket – proved to be less of an issue in the new 6S and 6S Plus models because they were constructed using a new 7000 series aluminum alloy. The 6S and 6S Plus also introduced the first iteration of 3D Touch which allowed for pressure sensitive touch. iPhone 6S Plus only recently stopped production in 2018 so it stands to reason that you will most likely need to stock up on iPhone 6S Plus Parts soon. iDemiGods provides the best Apple replacement parts for the best price. Ship anywhere in the world in less than two weeks with shipping in the US and Canada even faster. You are probably curious as to which parts you will need the most, so here are some of the most popular iPhone 6S Plus parts on iDemiGods’ online store. The iPhone 6S Plus Replacement OEM Battery from iDemiGods comes with free shipping and usually ships in one to two business days due to high demand. This part is guaranteed brand new with a six month warranty. The OEM Battery is 2750 mAh with 3.8 Volts and 10.45 Watt Hours. It does not require soldering and comes with an eight piece tool kit for installation. iDemiGods’ suggested calibration after installation is to drain the battery until under 10% and then charge to 100%. You know iPhone batteries are the easiest to replace to refurbish an iPhone. By choosing iDemiGods, you know your clients are getting the best parts for the best price. 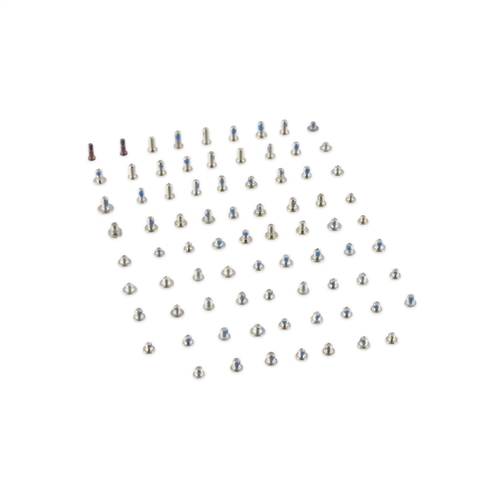 All technicians have experienced missing iPhone screws at one point or another. But you never have to worry about that again with iDemiGods’ iPhone 6S Plus iScrews iPhone Screw tray mat. This reusable mat keeps your iPhone 6S Plus screws in order with a helpful iPhone 6S Plus diagram and magnets so you never forget which screw goes where during your repair job. This product qualifies for free shipping and ships in one to two business days, as well as a site discount when you order from iDemiGods. When your client walks in with a shattered iPhone 6S Plus LCD screen, you can count on iDemiGods to provide you with a new, warranty guaranteed iPhone 6S Plus part. This is iDemiGods best deal for a standard LCD screen replacement. Included in this bundle are replacement mesh for the earpiece, a front camera bracket, cable foam pads, and a sensor bracket, all pre-installed for your convenience. iDemiGods wants to provide you with the best parts fast, and so their LCD screens are shipped to you for free in one to two days. This is the preferred part for 6S Plus repairs and tech specialists, so it makes sense to have a high online demand. iDemiGods has been in business since 2005 offering replacement parts for iPhone, iPod and more. With a developed supply chain, iDemiGods will get you the best parts for iDevices with the best product guarantees. As the technology industry advanced, iDemiGods kept pace with market demand so you can get iPhone 6S Plus parts and more as soon as you need them. Visit them online today to all of their products offered!